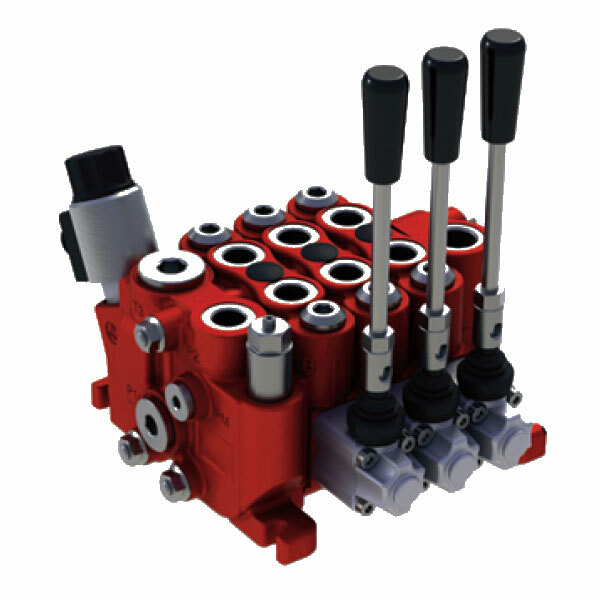 The RS 160 is a sectional open centre valve in size 3/8″ of modular design. Together with the wide range of standard parts, it offers maximum flexibility. The valve serves for high-performance applications mainly in systems with fixed pumps but also for systems with variable pumps. A connection of two or more valves to each other is possible in a range of different circuits. The valve is very robust and suits perfectly for demanding mobile applications. Also, the sections meet the most stringent requirements on controllability. What’s more, the modular system includes different types of inlets, sections and outlets. The valve is available with 1 – 10 working sections per valve assembly. The sections are symmetric. It makes it therefore possible to use the valve both as “Left Hand Inlet” and “Right Hand Inlet”. RS 160 serves as a flexible valve for a wide range of applications. However, typical applications are outriggers of mobile working machines, wheel loaders and agriculture applications within the flow range for the valve.